‘Breakin’ Up Is Hard To Do’, at KARST in Plymouth, takes its title from a Neil Sedarka’s 1962 Doo-wop hit. 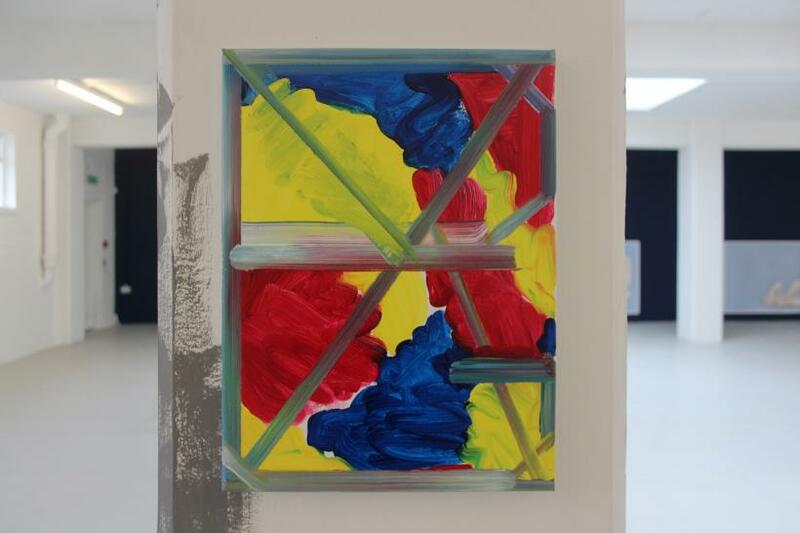 Chosen by the curators, George Vasey, Ned McConnell and Lucy Macdonald, to suggest the difficulty of reconciling subject and object in abstract painting, the show encompasses video, sound, painting, stained-glass windows, cast silicone digital printers, polyurethane foam, and a clay pot. 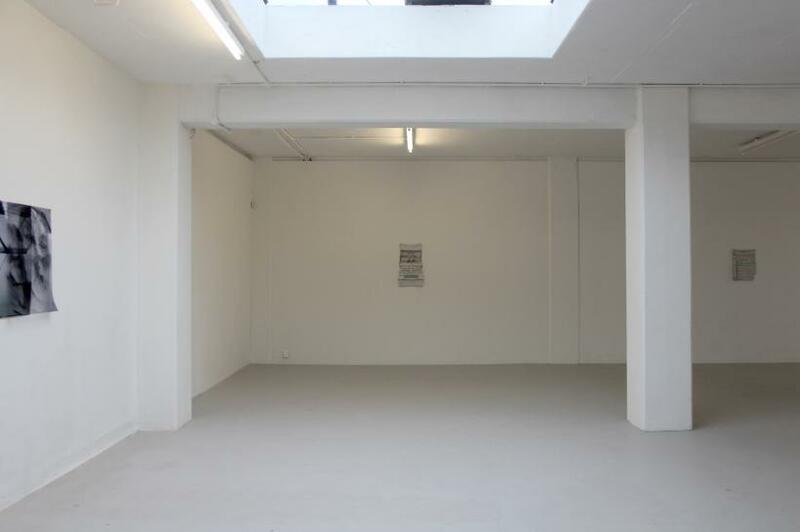 Despite the suggested noise of the title and the show’s extensive components, the project space conveys a spectral silence. 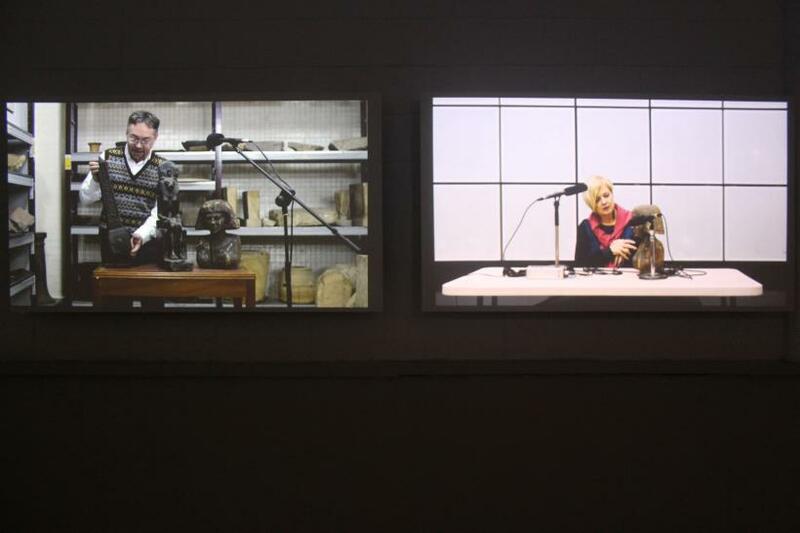 Patrick Hough’s video installation, ‘Object Interviews (Part I)’ and ‘(Part II)’, consists of two screens and two soundtracks. Listened to through headphones and played at overlapping and un-synched temporalities, the speaker in each video discusses the role of replica artefacts on film. On the left screen, a man in the British Museum storerooms handles each prop with casual ease suggesting their lightweight artificiality. On the right hand screen, a woman sits in front of a white background looking at a single prop, the head of an Egyptian woman. Not touching the object and barely looking at the screen, she discusses the role of replicas and their inherited auras. The films demand that we listen separately to each historian’s analysis so that one is temporarily silenced, forcing us to focus on gesture and context. Despite their similar professions, the two independent speeches express two approaches to history – one through critical theory, the other through objecthood. This work relates to Rosalind McLachlan’s, ‘Credo quia absurdum est (I believe it is absurd)’, in the larger space of the gallery. Like the film props, the clay pot of McLachlan’s work stands in for a past event. It is unclear whether this pot is an artefact or prop - the definition is unimportant. Instead, the muffled audio clip playing through the headphones represents a ‘seductive’ idea - that we can listen to history. Like Robert Morris’ ‘Box with the Sound of its Own Making’ (1961), the work acoustically re-enacts its own making, the audience is given access to an inaccessible component of the past before recording technologies existed: sound. 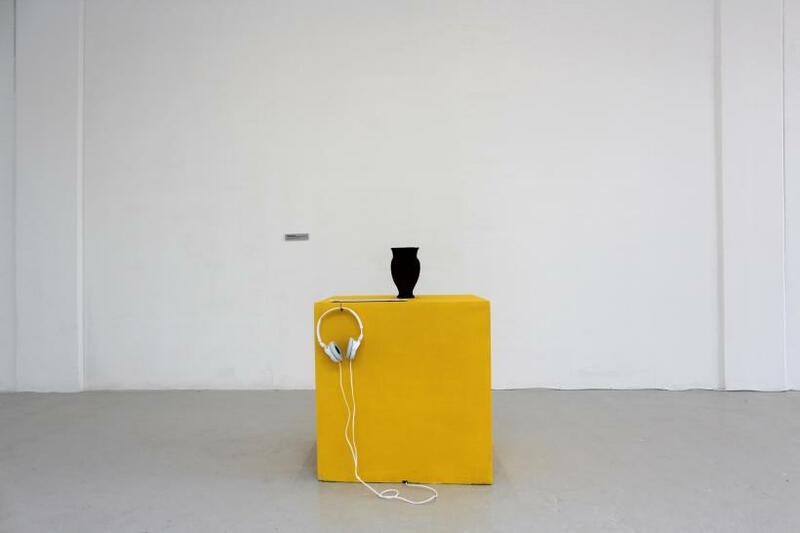 Based on the theories of ‘archeoacoustics’, where an object can contain the sound of its own creation and be ‘replayed’ within certain conditions, the condition of this pot’s playback (a bright yellow box-plinth and white headphones), and its accompanying title, make clear the implausibility of such a belief. Like the replica artefacts in Hough’s films, the cracks are evident but we still want to believe the object. 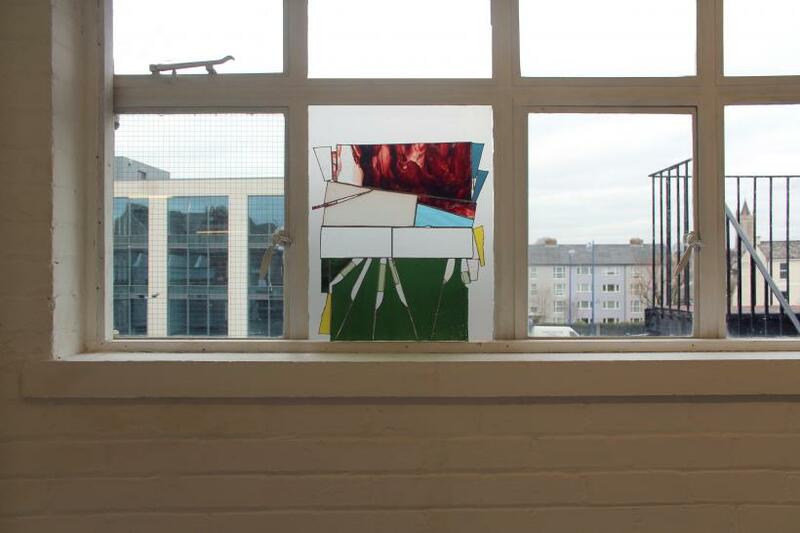 Marie Toseland’s two stained-glass works, ‘MI Window 1’ and ‘2’ (2015), rest on the back windows of this industrial space. Made from found glass, they have a quiet presence. Sitting high and welded finely together in irregular abstract shapes, they are based on traditional craft methods, and despite their contemporary context, the traceable sunbeams and familiar shapes situate the panels in a history of stained glass design. In comparison, the substances contained in Nicolas Deshayes’ ‘Cramps (5 Panels)’ (2014), are glossy and drooping. These messy white masses, made from polyurethane foam, are, as McConnell points out, ‘wipeable’. 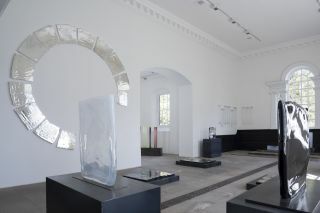 Balancing on top of pale blue vacuum-formed plastic, they enact a clean version of the abject components they resemble. The figurative made abstract, the abject made acceptable. 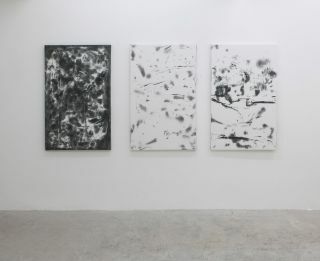 On the opposite wall are Alex Dordoy’s ‘Dialta Cuts’ (2011). 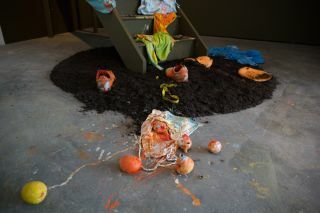 Cast from silicone rubber, they resemble discarded and flattened machinery - a typewriter’s interior, a printer’s entrails. Painted white with small accents of luminous pastels, they are displayed flat on the wall at eye-level. Philomene Pirecki’s presence permeates the show with variations on an idea: that the photographic documentation of an image, or of a space, will have its own coordinates, dependent on light conditions, replications and context. 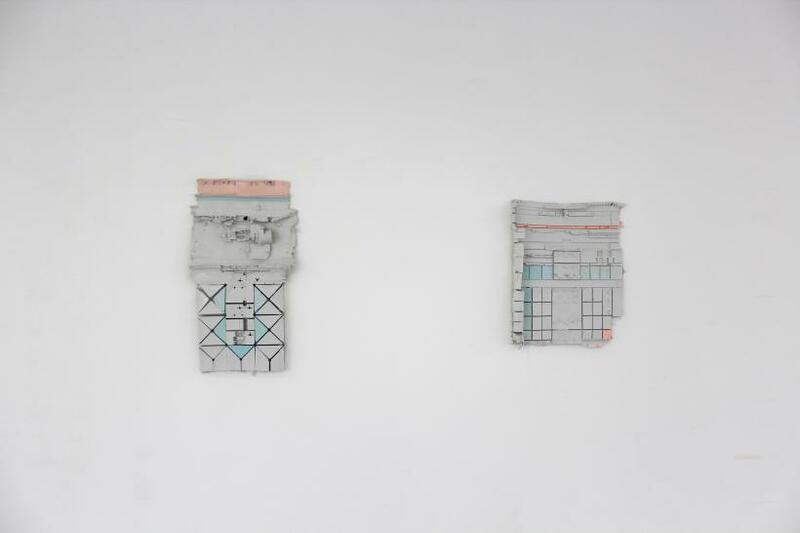 In ‘Image Persistence (Grey Text II)’ (2014), two overlapping Perspex sheets are displayed, pinned to the wall. 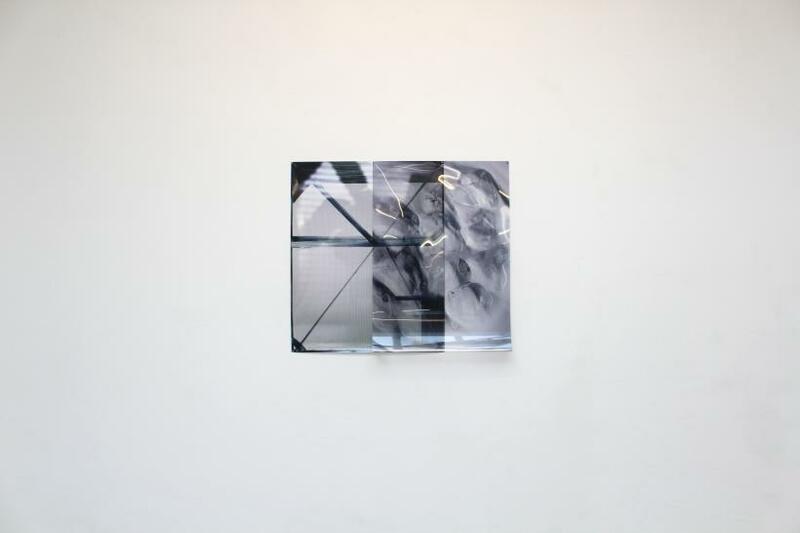 The bottom layer depicts one of her ‘Grey’ paintings as seen on her laptop screen, the top image, which flaps above, is of melting ice cubes, blown up and printed on photographic Perspex. 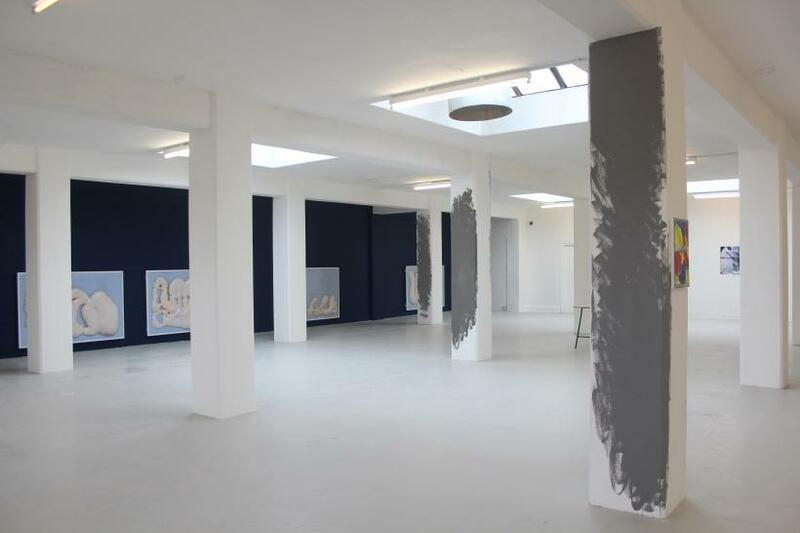 Around the gallery, on the supporting pillars are different shades of grey, corresponding to the tones of digital photographs taken of the gallery space under varying light conditions. 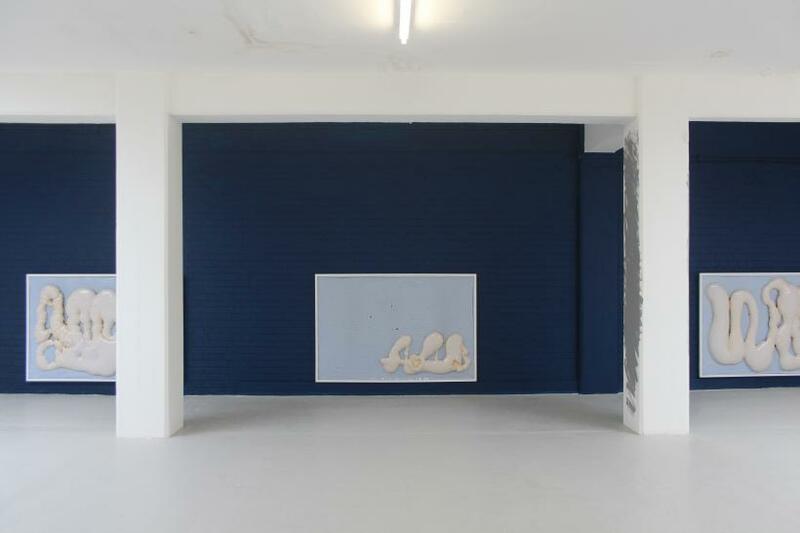 The paint colour in Pirecki’s ‘White Wall, KARST’ series, compliments the outside of KARST’s industrial shutters. Like Toseland’s stained-glass windows, the outside is brought inside. A small trestle table is situated between the pillars of the main exhibition space with two texts piled on top – one by Vasey and one by McConnell. Resembling an artwork, its presence implies an authorship of the exhibition and brings unity to works which otherwise enact the unresolved and continuing dialogue between subjectivity and objectivity. 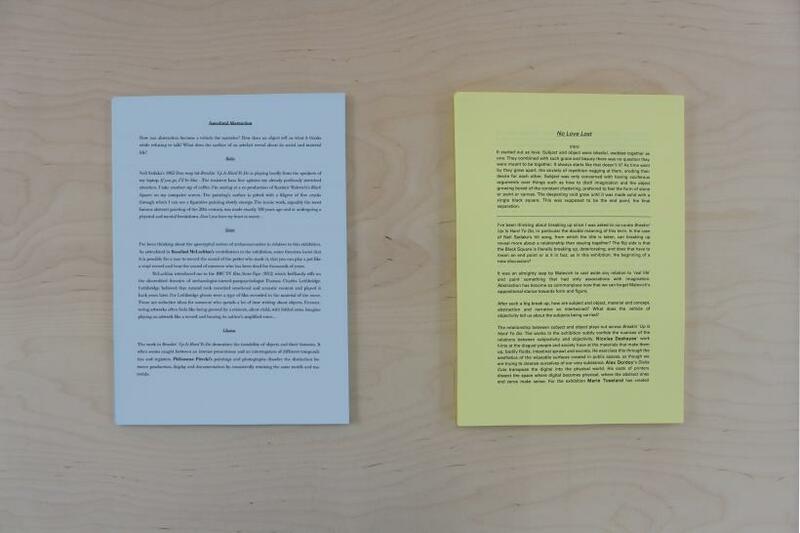 The texts, one printed on blue, one on yellow, feel like they have been written independently as any repetition or divergence remains – two different accounts of the same show, the same event, the same relationship. The range of mediums, methods and interplay between craft and technology only further demonstrate that this is an ongoing experiment between cooperation and conflict, where resolution is unlikely but, as McConnell’s text concludes, friendship may be a possibility.